What are some common signs and symptoms of Magnesium Deficiency? 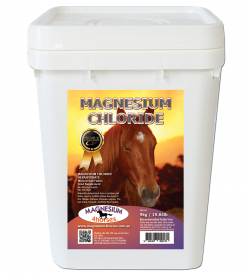 Why do horses need supplemental magnesium? The majority of readily available horse feeds and forages are grown commercially with the help of fertilizers that contain little or no magnesium. Over time, soils become depleted of magnesium and some other minerals, which are then not available for uptake by the growing plants. The result is an over-abundance of minerals such as phosphorous and potassium and a deficit of magnesium. Some legume forages such as lucerne and clover are naturally high in calcium but will be low in magnesium if grown in magnesium deficient soils. 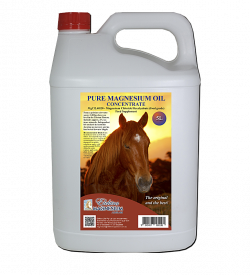 Why does magnesium do in Horses? 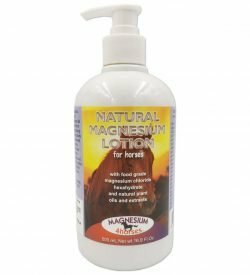 Why are Horses deficient in Magnesium? 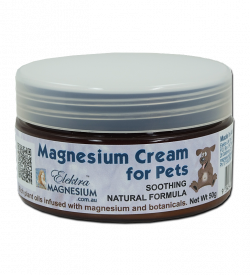 Horses like humans lose Magnesium under stress. 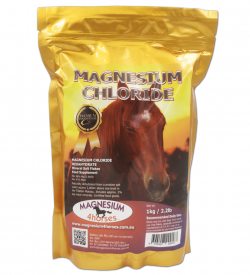 The more stress the more magnesium deficient a Horse can be. Stresses can include emotional stress, physical stress (racing, eventing, etc), chemical stress (toxins found on farms that may lead into food and water supply) and immune stress (infections and disease). The biggest problem is also how to supply and replenish Magnesium levels to optimal ranges. Normally in the environment, horses will get enough Magnesium from a variety of grasses as they roam and travel around. In Australia however the grasses are higher in sugars and lower in minerals that you normally get from mountainous regions in Asia or Europe. So the combination of stresses and low levels in food supply means Horses become easily Magnesium Deficient.